Nicki Minaj and Saturday Night Live are being accused of culturally appropriating Asian culture. 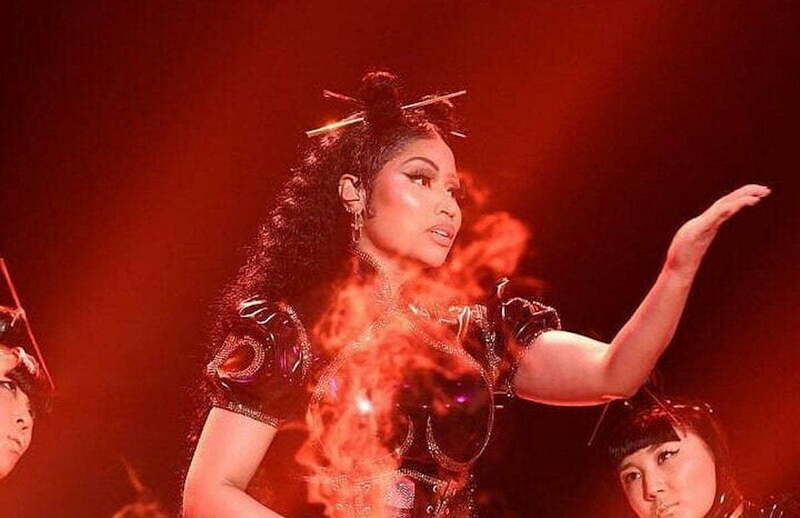 Nicki Minaj performed her smash hit “Chun-Li” on SNL this weekend and now she is being accused of profiting off Asian culture. The single and music video has a lot of Japanese elements and Nicki herself has used Asian culture in her music in the past including in the music video for her breakout hit “Your Love.” Still, folks on Twitter think that her use of the culture is wrong. In her performance, Nicki Minaj had Asian backup dancers, wearing Asian outfits against an Asian-style backdrop. The rapper even wore chopsticks in her hair. Watch the full performance of “Chun-Li” on SNL below. After the performance aired, folks took to Twitter and other social media outlets to vent about cultural appropriation. Other folks push back saying that the people complaining are reaching because Nicki Minaj has some Asian ancestry and is from a part of Trinidad that has some string Asian lineage. Nicki Minaj new album “Queen” arrives on June 15th. What’s the most current, politically correct version of the Byzantine rules on cultural appropriation?